This tutorial is a step-by-step guide to building a website with eZ Platform Enterprise Edition. It focuses on creating a front page using a feature called Page Builder. This tutorial is intended for users who have basic knowledge of eZ Platform. Ideally, you should be familiar with the concepts covered in the Building a Bicycle Route Tracker in eZ Platform tutorial. In the course of this scenario you will built a website for a magazine for dog owners called 'It's a Dog's World'. 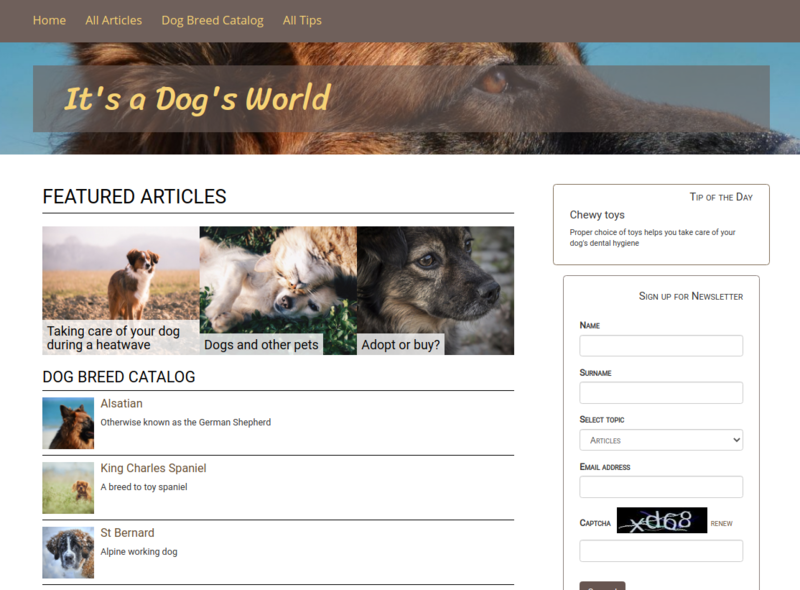 You will create a welcome page that will showcase the magazine's three most important types of content: articles, dog breed information and tips. You will do this by means of a Page, making use of its specific blocks, and crafting your own as well.